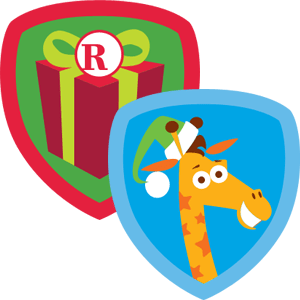 Starting at 10pm on Thanksgiving, by checking in to a Toys R Us store, you would receive a badge and the first 3,000 people would receive a 15% off coupon for purchases over $150 for about a week. People were worried that all the people in Asia who check in to receive badges would take all the coupons, but once you received the badge there was a message to send a text message to receive the coupon. I did this and received a link to a coupon via text message back. This deal was simple, direct and easy to get the badge and coupon, as long as the user took the time to do the additional step of sending the text message. On the opposite end of the spectrum was the Radio Shack Holiday Hero badge, which forced a person to jump through hoops to unlock it. You had to be following Radio Shack on Foursquare, then check in at two of any combination of coffee shops, gyms or transit locations before checking in at a Radio Shack to unlock the badge, which gives a 20% discount on purchases through the end of the year. The problem with this is that many people had trouble unlocking the badge and could not figure out how to do it or where to check in prior to checking in to Radio Shack. I also don’t find Radio Shack to be a large shopping destination for the social media savvy person who would go out of their way to know about the badge and do the work involved in unlocking the badge. Two different ways to attempt to have deals for the social media savvy on the same network, and two different ways of handling them. Although statistics have been published of Foursquare traffic on Black Friday, they don’t account for the people in Asia who check in remotely and do not show the number of people who actually took advantage of these deals. Was there a true return on investment or were people just checking in to get the badges and not actually taking part in the deals?